Backburning: Midnight Oil – A Short Film | Bombora Film and Music Co.
Backburning is a short film about one of Australia’s most iconic rock bands: Midnight Oil. The film is written and directed by Paul Clarke who created acclaimed music documentaries Long Way to the Top: the Story of Australian Rock Music (ABC); Mother of Rock: Lillian Roxon (SBS) and Blood and Thunder: the Sound of Alberts (ABC). 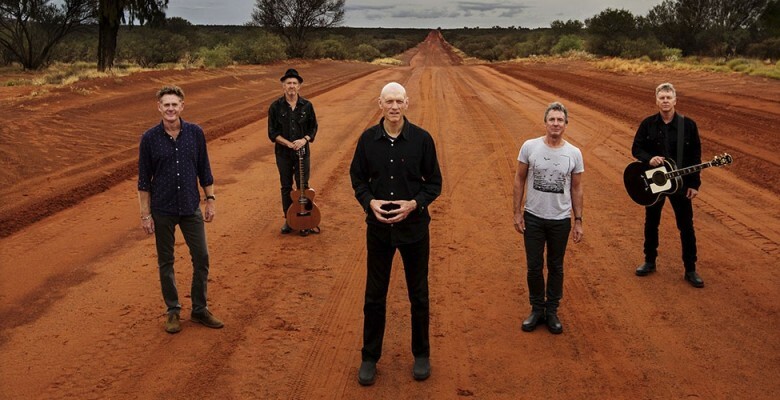 This film captures the calm before the storm, as Midnight Oil reunite in the red centre of Australia to make plans. Their conviction and drive made them a singular force in music until their singer chose to become a Member of Parliament: a decision that ultimately caused the band to fall silent for 15 years. Backburning provides a unique insight into the moment when Midnight Oil first regroup in this place which has always been special to them. Backburning also recaps Midnight Oil’s history, through archive footage, band interviews and Aaron Pedersen’s narration. We meet them at the very beginning (when Peter Garrett still had hair) as they form on Sydney’s Northern Beaches during a tumultuous time in Australian history. We revisit how they forged their fierce and uncompromising reputation: with power and passion. Then we rejoin them around an outback campfire to discover why they have come together again here and now.